November 28, 2018 at 12:15 PM: A vehicle has reportedly rolled over on French Gulch Road outside Murphys. No injuries have been indicated. A tow is responding to flip the vehicle back over. November 28, 2018 at 8:50 AM: A school bus with students on board reportedly left Podesto Road and struck a house near UOP. Emergency vehicles are responding to the scene. No injuries were indicated fortunately. UPDATE: Laptop ADOPTED!! Mewwww! Laptop needs a home! 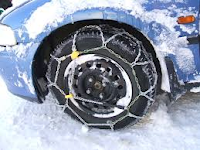 Caltrans is requiring chains on all non-4-wheel drive vehicles on Hwy 4 at Tamarack this morning. Drive carefully and slow down!